Over the past 10 years, Nadim Mishlawi has worked as a composer and sound designer on a multitude of films from Lebanon and the Middle East. Having studied music while in school, Nadim put aside his formal musical training when he began studying Fine Arts at university. During this time, Nadim began experimenting with various forms of sample-based and electronic music. Nadim's interest in sample-based compositions developed further as he completed his MA in Film Studies and in 2004 composed his first piece of musique concrète entitled "On the Periphery: An Offscreen Composition." The piece was exhibited at the Ashkal Alwan Homeworks 3 Forum in Beirut the same year. Combining his passion for music and film, Nadim began composing for films in 2006 when documentary filmmaker Mohamad Soueid approached him to compose the music for his documentary The Sky Is Not Always Above. Nadim continued working with Soueid on his next three films My Heart Beats Only for Her, How Bitter My Sweet, and A Spell of Absence. In 2006, Nadim and his wife, sound editor Rana Eid, opened db STUDIOS, a facility specializing in audio postproduction. Since then, Nadim has worked on numerous films. In 2011 Nadim was nominated for Best Original Score at the 2011 Aubagne International Film Festival in France for his work on the film Stray Bullet, directed by George Hachem. In addition to music for film, Nadim has also worked as sound designer on various kinds of projects including Jocelyn Saab's idiosyncratic film What's Going On, and Lamia Joreige's video Nights and Days. However, Nadim's most extensive work as a sound designer has been with artist Akram Zaatari. The two have been working together for the past five years, their most recent collaboration being Letter to a Refusing Pilot which premiered at the 2013 Venice Biennale. In 2011, Nadim released his directorial debut, the documentary Sector Zero, in which he used the bleak history of Karantina, an area on the outskirts of Beirut, as a metaphor for modern Lebanon's troubled past. The film received the first prize in the Muhr Arab Documentary category at the 2011 Dubai International Film Festival, as well as the Berlin Art Prize for Film and Media Arts in 2012. In 2013, Nadim screened his experimental short film Echoes in a Room with No Walls at the Ashkal Alwan Homeworks 6 Forum in Beirut. The film used 16mm footage, again of Karantina, as an "image track" to a composition Nadim constructed mostly from archival sounds from the Lebanese Civil War. Nadim currently lives and works in Beirut. 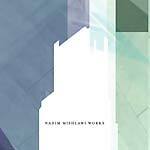 Works is the first release of music by Nadim Mishlawi. The production is a collaboration between Nadim's media label TOTEM Media and Annihaya Records owned by Sharif Sehnaoui, Raed Yassin, and Hatem Imam. The compilation is a selection of Nadim's personal compositions, and does not contain any film scores. The package was designed by Hatem Imam of the graphic design company Studio Safar. The box-set is comprised of three albums: 1. Dreams of the Primitives: The basic intention behind the music of this first album in the compilation was to create a unique sonic experience by fusing together diverse musical genres within the individual tracks. This first CD of the compilation is therefore a synthesis of various genres of music, combining elements of post-rock, classical, jazz, and electronics. The title of the album was inspired by the documentary Cave of Forgotten Dreams by Werner Herzog. 2. Memories of Things to Come: This second album is a selection of tracks Nadim composed by mixing old tape cassette recordings with digital electronics textures. During the Civil War, Nadim's parents made a multitude of tape cassette recordings. Some of these recordings were interviews, and others just basic ambient recordings of gatherings held in their house. Nadim frequently uses these recordings in his work, but this album his most prolific sample of musical experiments made mixing analog and digital textures. The tracks also include modulated piano samples, originally recorded by pianist Cynthia Zaven for various film scores written by Nadim over the past few years. 3. Sonotechture I & II: The final album in the compilation is a more abstract approach to electronic composition consisting of two tracks, each approximately 30 minutes long. The tracks are constantly evolving from ambient electronic drones to minimal percussive sections and again to harsh, noise-driven textures. Nadim has always been intrigued by the sonic qualities of different urban environments and how these qualities change depending on the time and space of the listener. These two compositions are intended to be somewhat expressionistic interpretations of Beirut's rich sonic environment.